Grade 1 Arkansas Derby winner Omaha Beach emerged from his race in fine shape and will be vanned from Oaklawn Park to Churchill Downs on April 16. Omaha Beach will reside in barn 28 at Churchill Downs as the Richard Mandella trainee prepares for the Grade 1 Kentucky Derby on May 4. Arkansas Derby runner-up Improbable, third-place finisher Country House and sixth-place finisher Long Range Toddy arrived at Churchill Downs the morning of April 15 following a flight. Irad Ortiz, Jr. will be aboard Improbable for the first time in the Kentucky Derby. Country House has taken up residence in conditioner Bill Mott’s barn 19, and Mott plans to confer with the colt’s owners before deciding whether to participate in the Kentucky Derby. 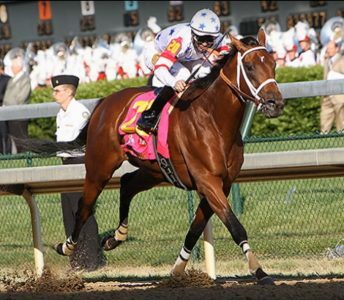 Trainer Steve Asmussen confirmed that Long Range Toddy, who will be stabled in his barn 38, will be pointed to the Kentucky Derby. Grade 3 Lexington Stakes victor Owendale is under consideration for the Grade 1 Preakness Stakes on May 18 at Pimlico after the 20 qualifying points he picked up left him 29th on the Kentucky Derby leaderboard. Lexington Stakes runner-up Anotherwistafate will head from Keeneland to Churchill Downs this week and train for the Kentucky Derby in the hopes that enough defections will occur to allow him to get a spot in the gate with his 38 qualifying points. 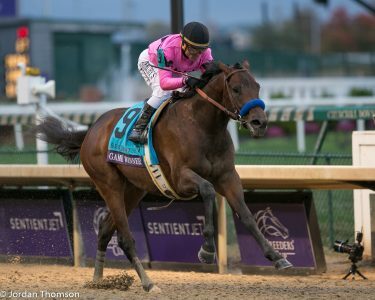 Anothertwistafate, who gained an automatic berth in the Preakness by winning the El Camino Real Derby in February at Golden Gate Fields, will target the second leg of the Triple Crown if he does not get into the Kentucky Derby. Lexington Stakes show finisher Sueno returned to Churchill Downs after his effort and will also train towards the Kentucky Derby with his 32 qualifying points that places him right behind Anothertwistafate on the leaderboard. Katsumi and Yasuyo Yoshizawa’s Master Fencer, who secured a spot in the Run for the Roses via the Japan Road to the Kentucky Derby, is scheduled to travel to the U.S. on April 23 and will spend 42-48 hours in quarantine in Chicago prior to vanning to Keeneland on April 25 and continuing to Churchill Downs on April 30. Grade 2 UAE Derby champ Plus Que Parfait has settled into barn 9 at Churchill Downs and is likely to return to the work tab this weekend. 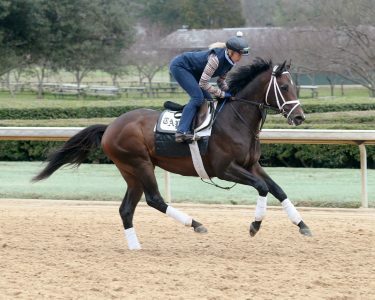 Jockey Ricardo Santana, Jr., has landed the mount on Plus Que Parfait for the Kentucky Derby. Jockey Jose Ortiz has been confirmed to ride Wood Memorial winner Tacitus in the Kentucky Derby. Julian Pimentel, who has ridden Win Win Win to all three of his career victories, will be back aboard the Grade 2 Blue Grass Stakes runner-up for the Kentucky Derby. Win Win Win will be Pimentel’s first Kentucky Derby mount, and the jockey has not ridden a race at Churchill Downs in his career. Trainer Danny Gargan said he expects Tax, who remains in New York following his second-place effort in Aqueduct’s Grade 2 Wood Memorial, to ship to “possibly” have one work in Kentucky prior to the Derby. 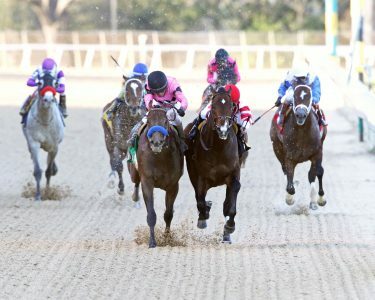 Grade 1 Florida Derby runner-up Bodexpress, currently 21st on the Kentucky Derby leaderboard, will ship to Churchill Downs on April 30 and aim for the Preakness if he fails to get one of the 20 spots in the starting gate with his 40 qualifying points. 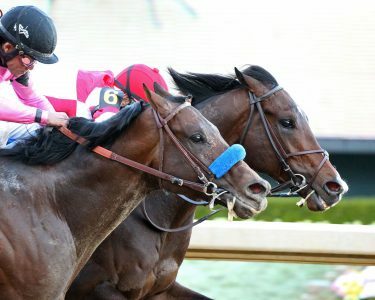 The connections of Signalman, whose $496,840 non-restricted stakes earnings place him above Anothertwistafate as the tie-breaker for the duo’s qualifying points, will watch the leaderboard and decide about running in the Kentucky Derby should the colt be able to secure a starting spot. Conditioner Ken McPeek said the Preakness followed by the Grade 1 Belmont Stakes at Belmont Park on June 8 will be the targets for Signalman if he does not run in the Kentucky Derby. Trainer Shug McGaughey, who won the 2013 Kentucky Derby with Orb, said Florida Derby third-place runner Code of Honor will likely have his final work for the race at Churchill Downs. 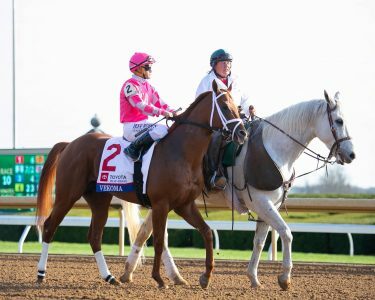 Each of the top four finishers on the European Road to the Kentucky Derby declined an invitation to compete in the race. Not That Brady, who finished fifth in the Wood Memorial, is under consideration for the Belmont Stakes.